Early in January, I decided to join a book club. Yes, I - joined - a - book - club. If you know me, you know that I rarely read anything that has a cover. I've long since become one of those lazy-readers. My daily reads include short soundbites of news on Social Media and work emails. I'm terrible. In an effort to become an over-all better human being in 2015, I thought it was due time to start nourishing my brain and soul with a good ol' book (or 12). 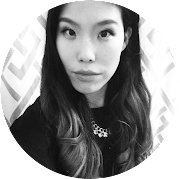 I joined Sarah Ohm's Blogger Book Club, so if you're interested, definitely check it out! Just a bunch of cool blogger gals reading books and talking on the internetzz! The theme for January was to read a "motivational" book. I'll admit that I feel like I kind of cheated with my book of choice, but to be fair it WAS on Amazon's list for motivation picks! So it still counts, right?? Who doesn't love Paris? No - like, actually? Anything and everything Parisian is so frickin' lovely that I couldn't resist not reading How to Be Parisian Wherever You Are by Anne Berest, Audrey Diwan, Caroline de Maigret, and Sophie Mas. This book has become my bible. I will admit, it was a bit of an 'easy read' what with its beautiful photos of french-everything, but it has definitely motivated me to become more "Parisian" in a way. 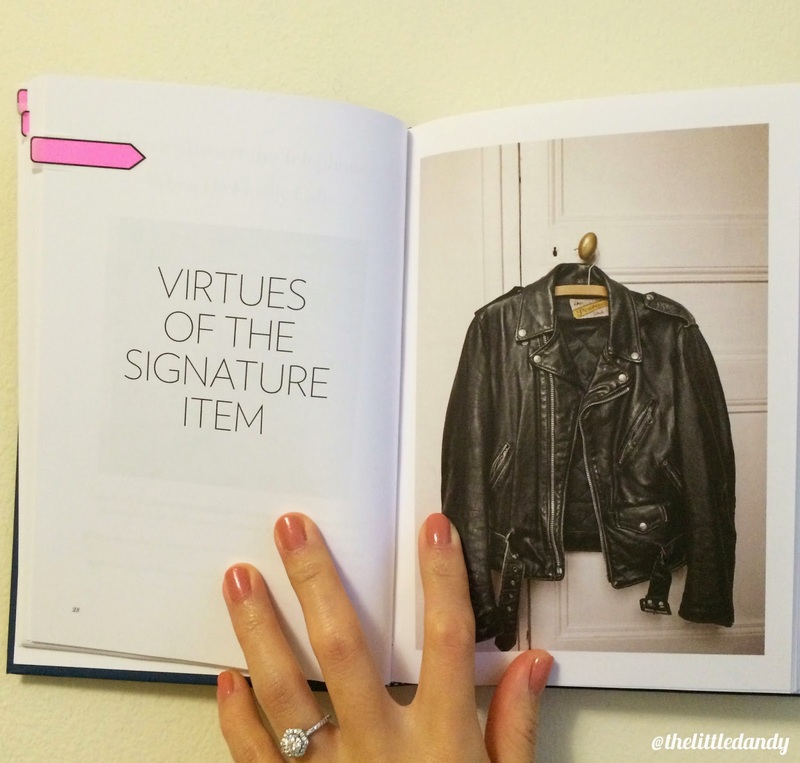 The book tastefully touches on how you can inject a little bit of Paris chic into every aspect of your life. The way you dress, the way you eat, the way you speak, the way you love - I could go on. "Don't be afraid of aging. As the saying goes, don't be afraid of anything but fear itself." "Go to the theatre, to museums, and go to concerts as often as possible: it gives you a healthy glow." "Not too much makeup, too many colours, too many accessories…"
"Your look should always have one thing left undone - the devil is in the details." "Never pass the salt directly - place it on the table first for the other person to pick up." "When meeting someone for the first time, never say 'what a pleasure,', but rather 'what a pleasure to meet you.' (You never know what the future might hold)." "Don't follow trends. (Trends follow you)." 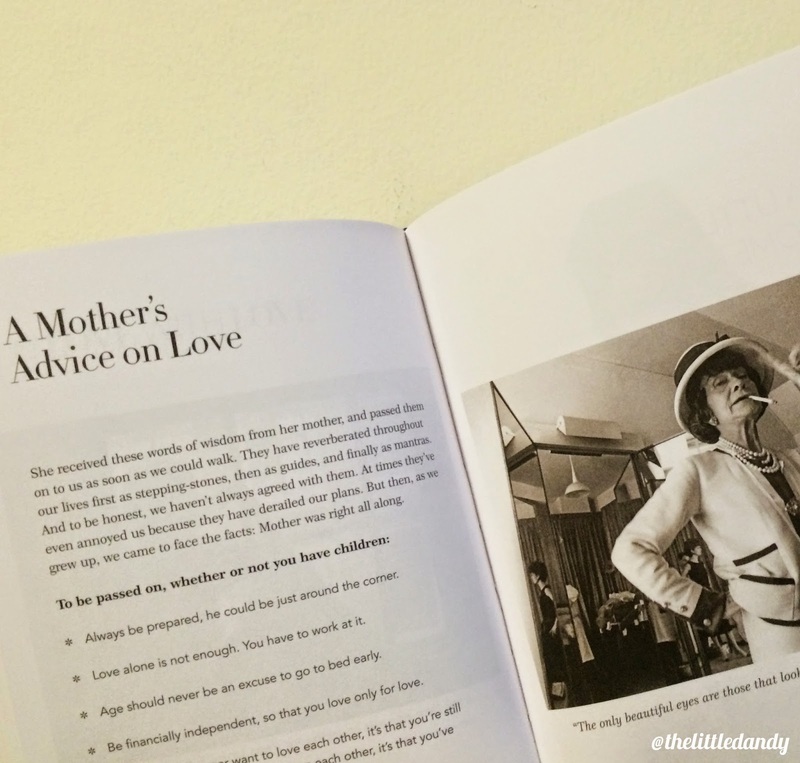 The book goes on to share style essentials, how to spend a day in Paris, girl friends, love, aging, and of course ends with "Parisian Tips" including recipes and films to watch. Overall, I really enjoyed this read and I'll probably read it again sometime. It's going to become one of those fun books to leave on my coffee table for when girlfriends come over for wine and a chat. 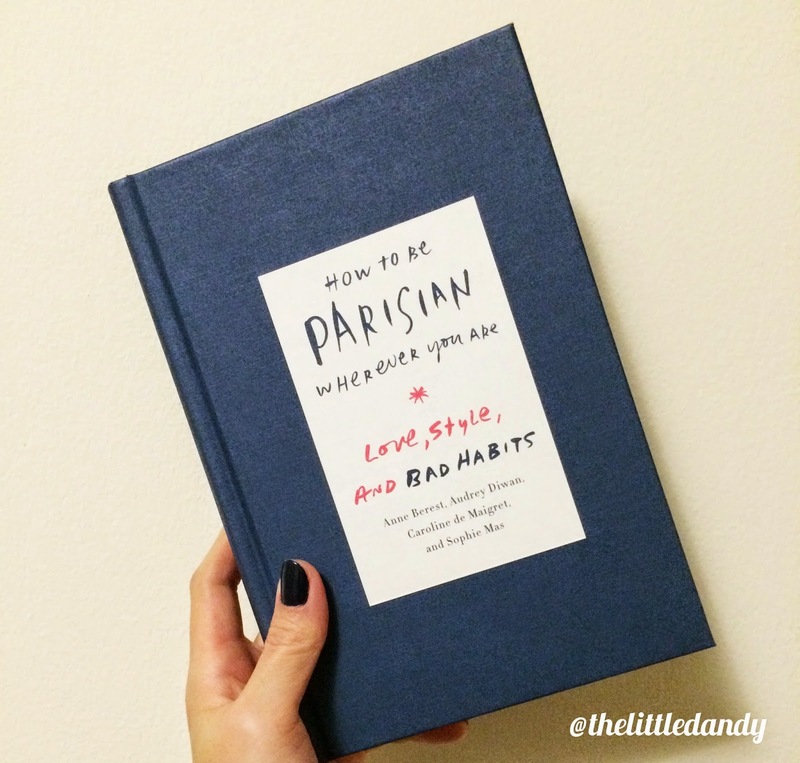 After reading "How to Be Parisian Wherever You Are", I feel somewhat wiser - but a different kind of wise. Not the book-smart wise, but the style-smart elegant kind of wise. I'm going to leave you guys with my favourite excerpt from the book. I hope you guys decide to give this book a chance! "Take the time to talk to the elderly lady next door, to read a book, to walk to work instead of riding the subway when it's a beautiful day. Take the time to escape for a weekend with friends. Call your grandmother on her birthday and rinse your hair with cold water just like she taught you, listen to your children, breathe deeply, take the time to make fresh-squeezed orange juice for breakfast, to go to a museum, to go for a stroll in the woods and listen to the sounds of tiny creatures in the grass. In summer, take the time to compile a scrapbook of pressed flowers with a child, to read him a story. And don't forget to daydream in the bath, just like when you were little." This book sounds fabulous. I wish I could be Parisian, haha. I love that excerpt you posted at the bottom of this post-so beautiful! I want this book. 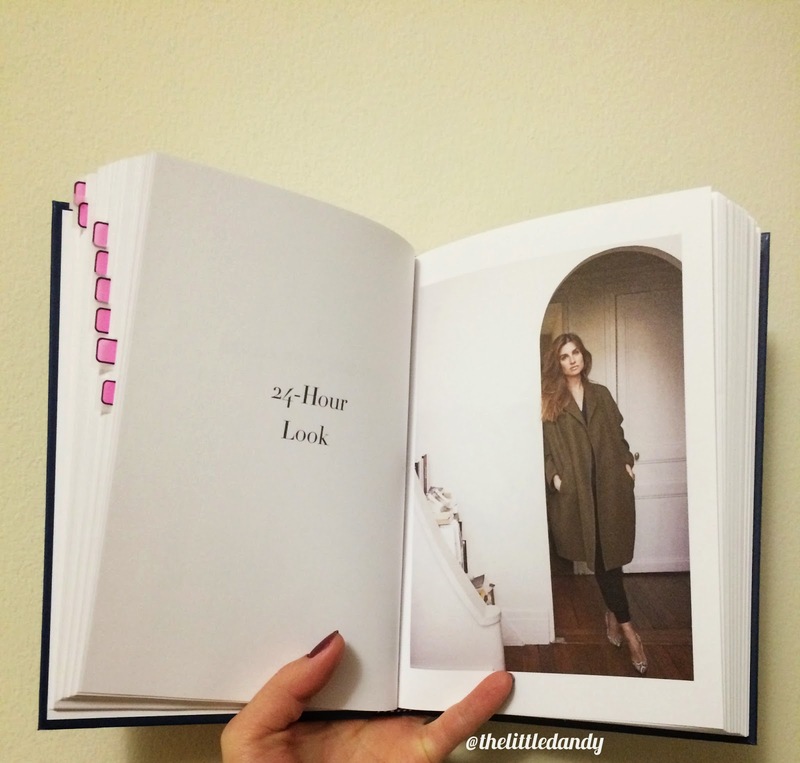 I love looks like this - quick, full of great tips and to the point. I would buy this for my daughter (she's turning 20 this month) as a fun book too. AMAZING!! I want this immediately.